I've been hunting down my favorite online medieval sources. Some time since I composed my last text the Internet Medieval Sourcebook received a new look. In fact the whole Internet History Sourcebooks Project (IHSP) has been updated. 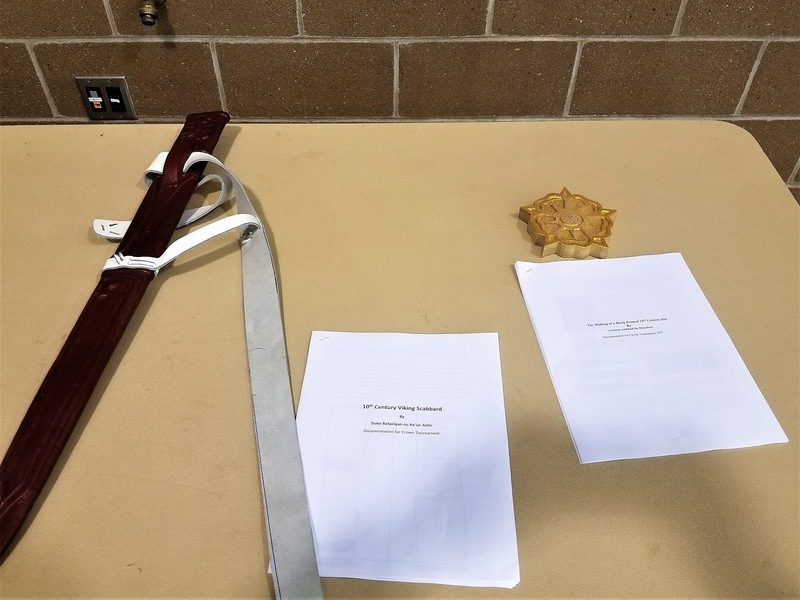 It's new and improved. 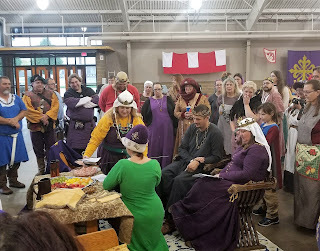 As someone in the SCA, if you haven't found the IHSP yet you are missing out on heaven. 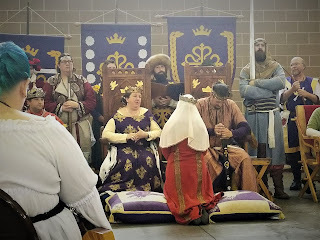 The IHSP is a website with troves of ancient, medieval and modern primary source documents. 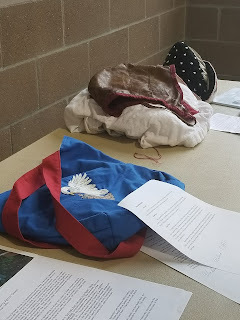 It also has links to maps, secondary sources, bibliographies, images, and music. 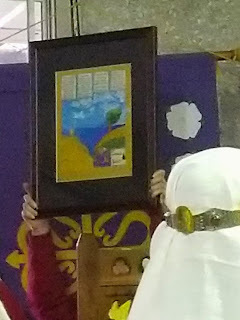 It was created in 1996 as a textbook alternative. The IHSP is located at the Fordham University History Department and Center for Medieval Studies. Its editor is Paul Halsall, and Jerome S. Arkenberg is the contributing editor. 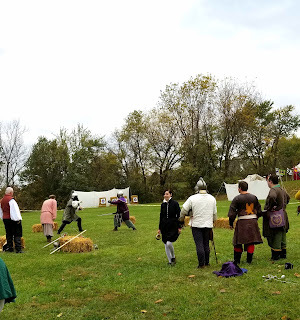 The IHSP is a collection of public domain and copy-permitted historical texts presented without advertising. 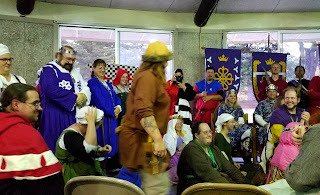 The Internet History Sourcebooks Project is a humongous collection requiring constant updating. 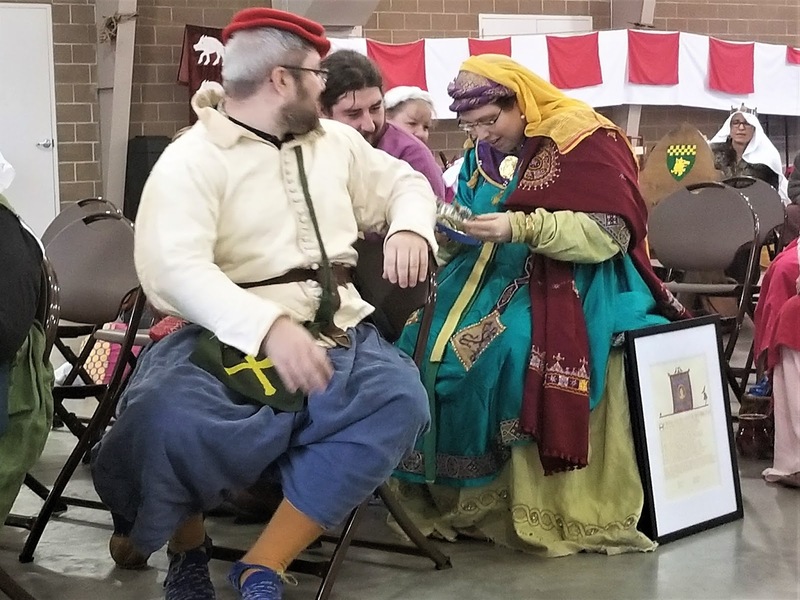 In addition to the large individual collections of the Medieval, Ancient, and Modern Sourcebooks, the IHSP also includes separate Sourcebooks on African, Byzantine, East Asian, Global cultural interaction, Indian, Islamic, Jewish, LGBT, Science, and Women's History. While many sources would help if you were doing persona research I particularly like ancient or medieval legal sources for writing scroll text. 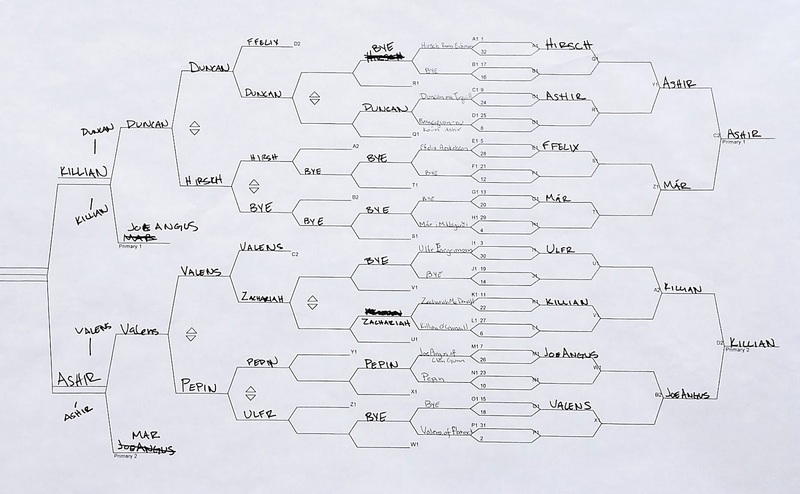 The great thing about the revised format is the search box found in the upper right corner. 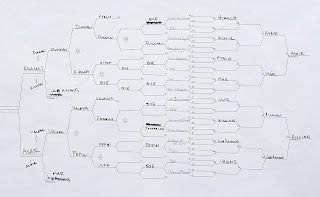 Through it, I found specific useful search entries: charters, patents, Burgundy, scribe. Additionally, the IHSP include a Brief Citation Guide. 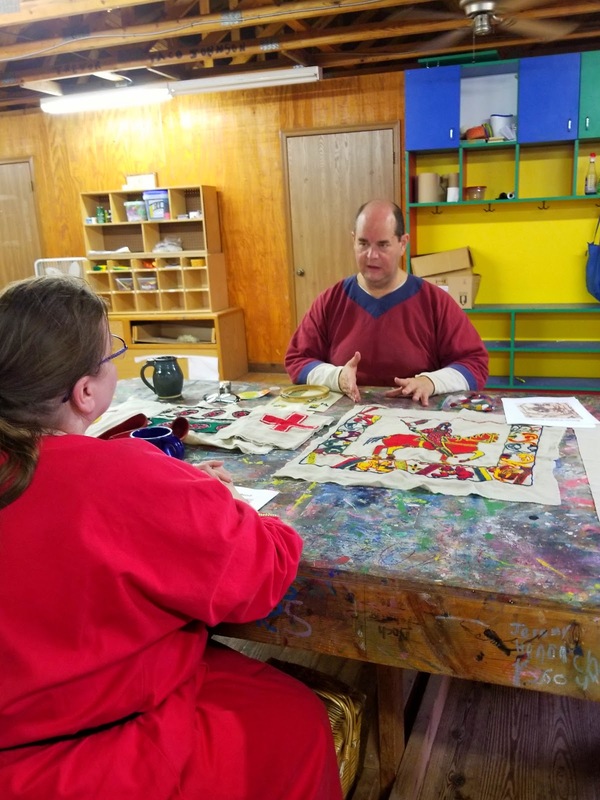 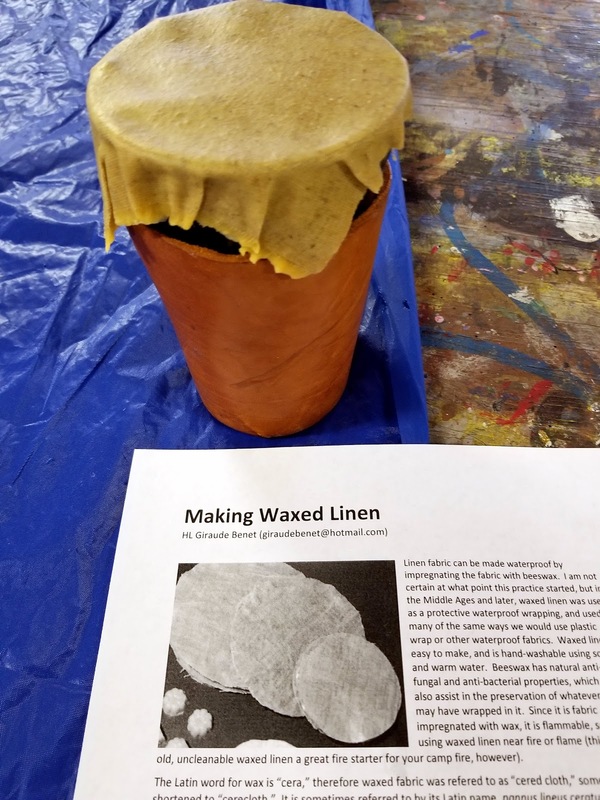 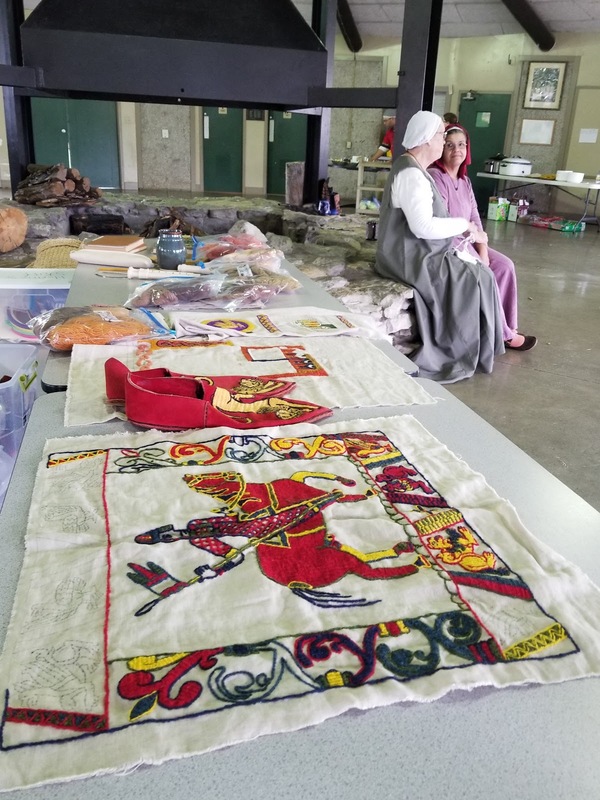 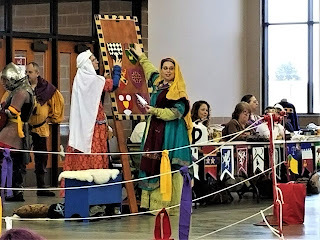 This is a great help if you plan to enter a Calontir Kingdom Arts and Sciences competition. 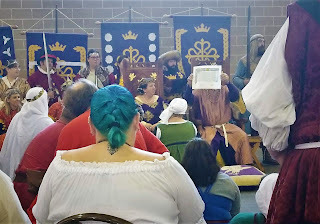 Can you tell how much I love the IHSP, particularly the Medieval Sourcebook. 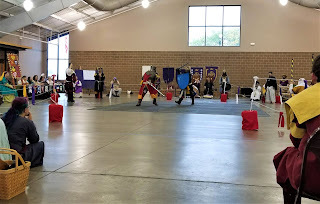 Now to find what I started out to search. 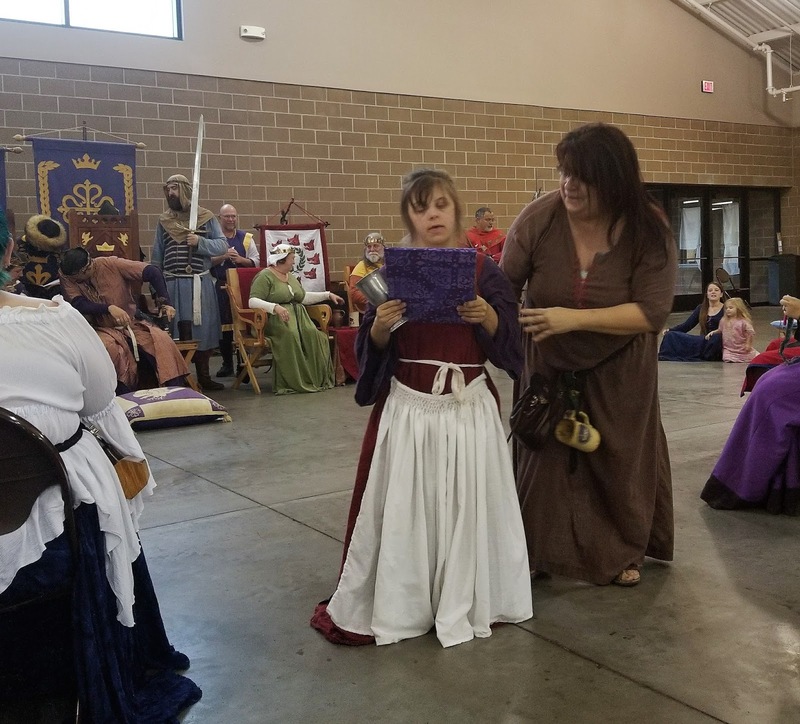 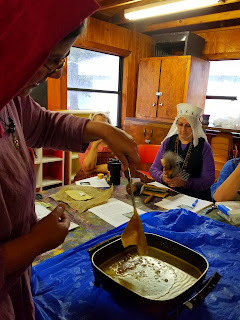 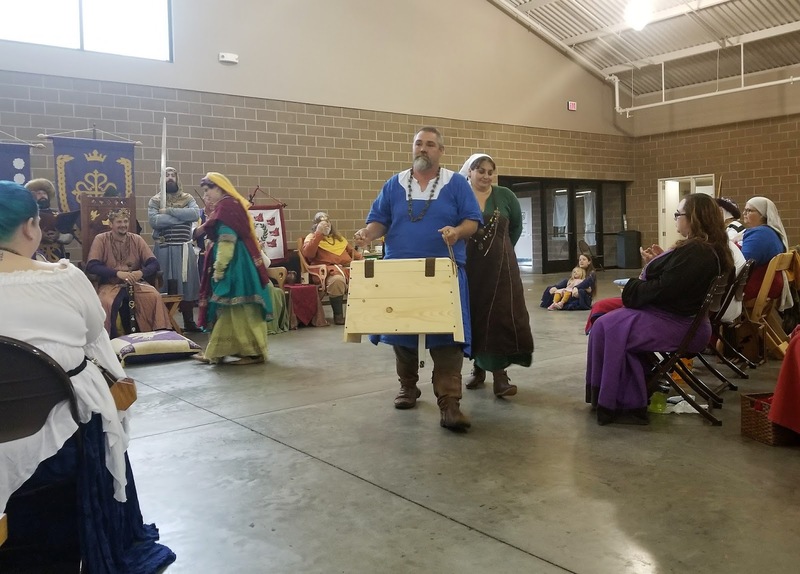 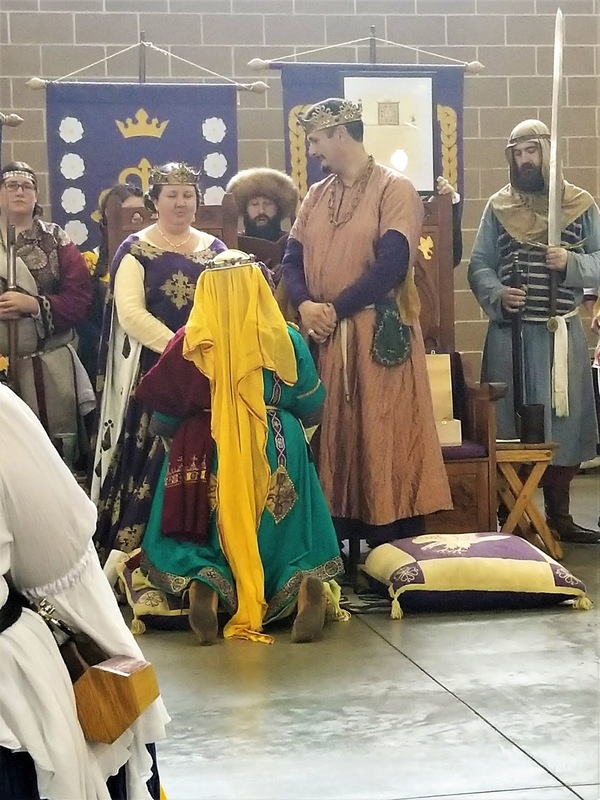 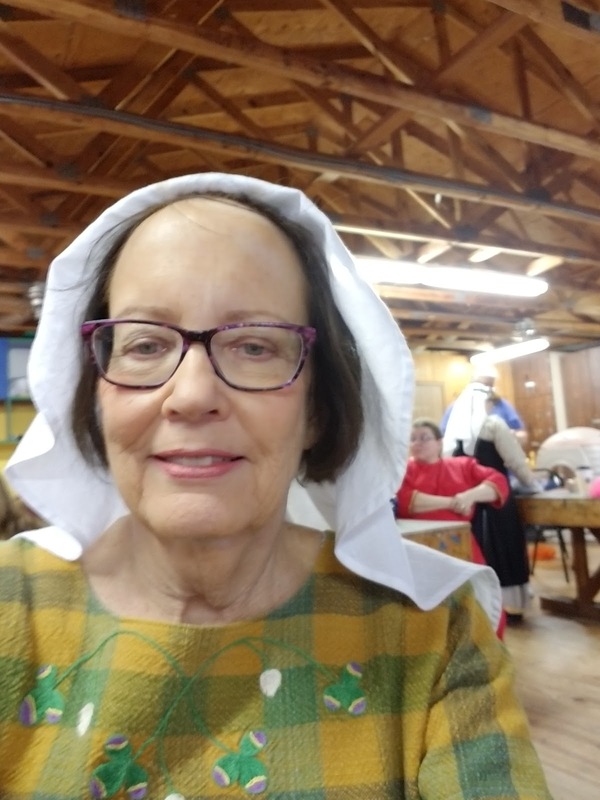 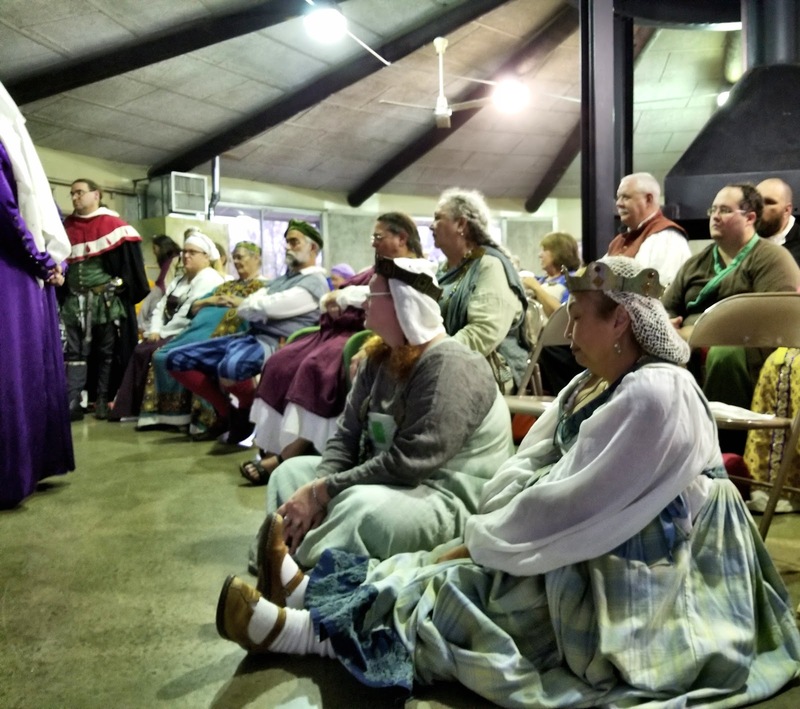 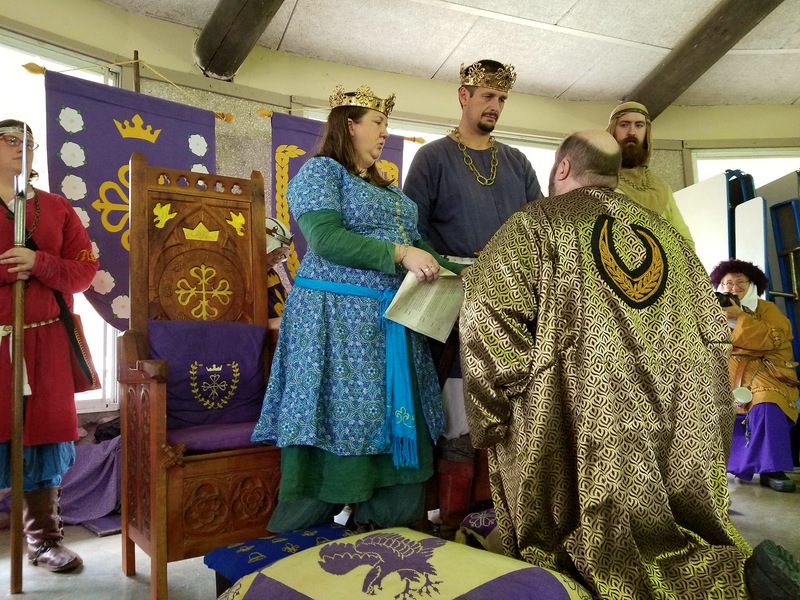 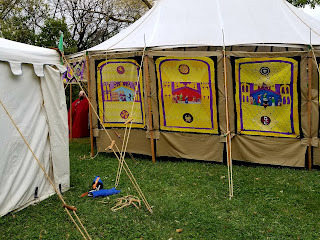 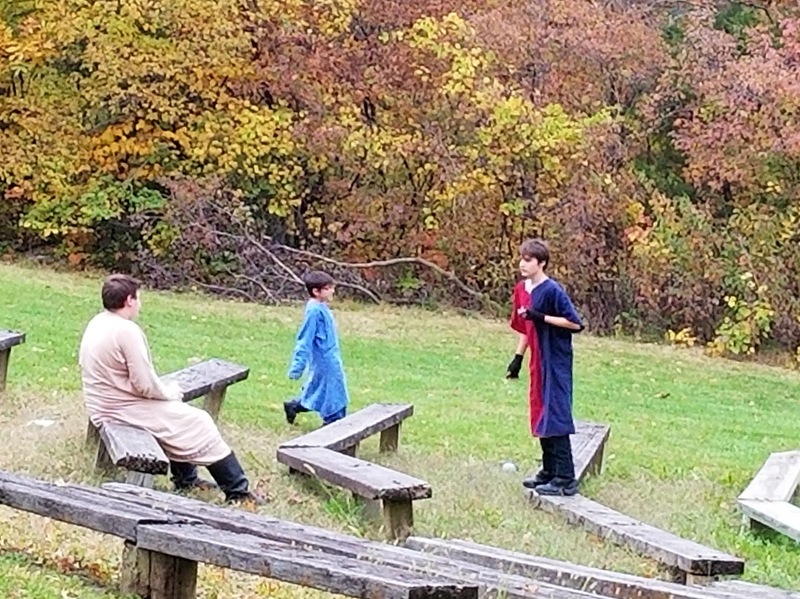 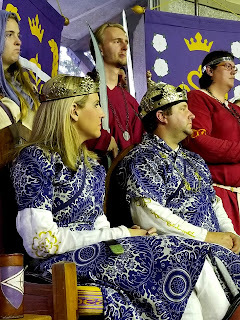 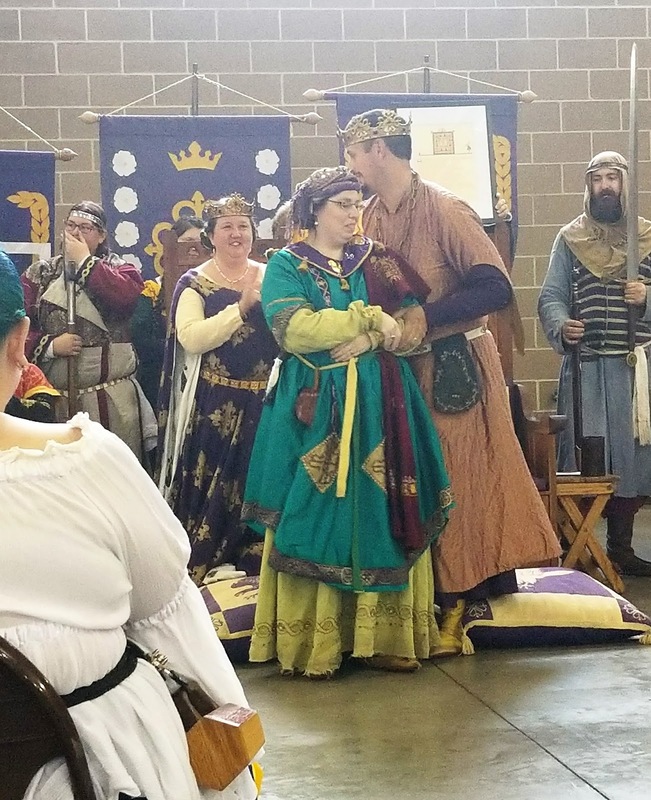 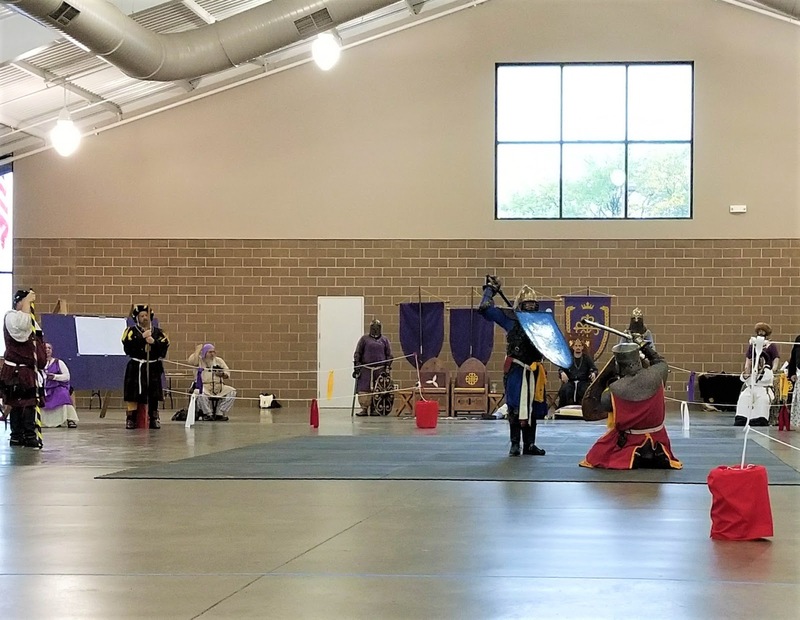 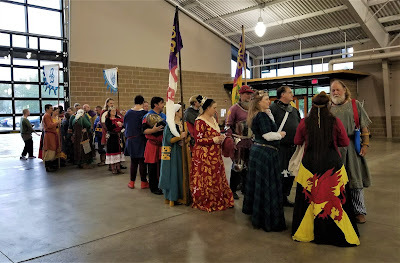 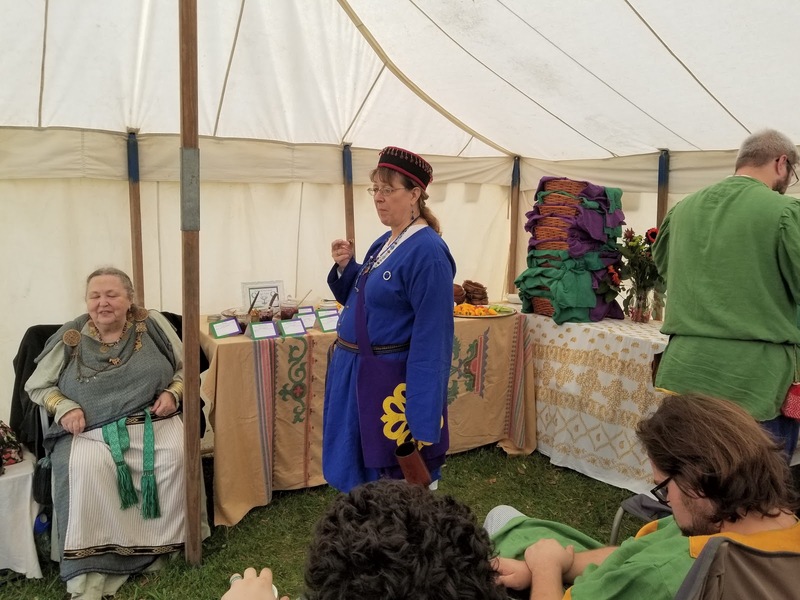 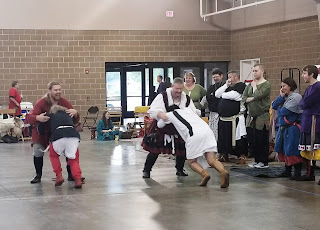 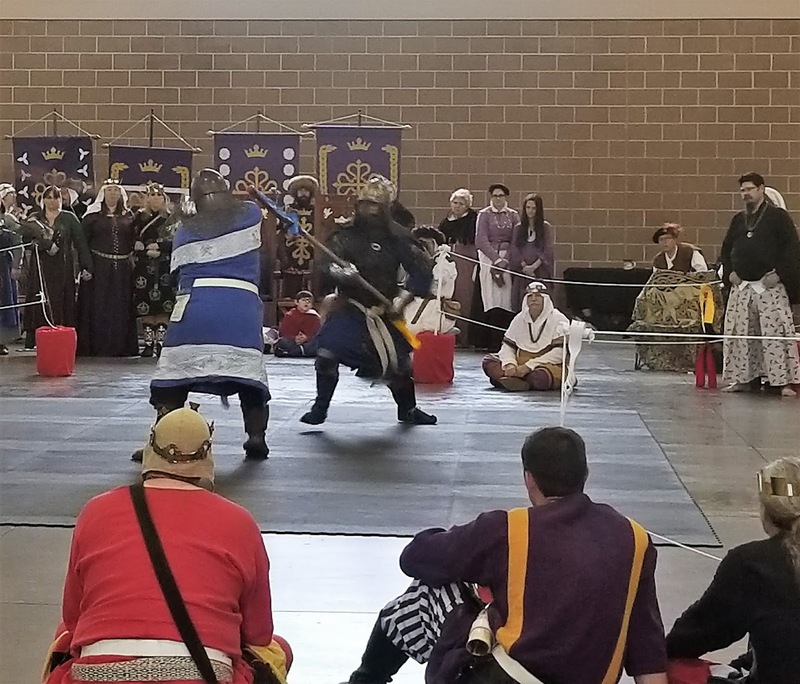 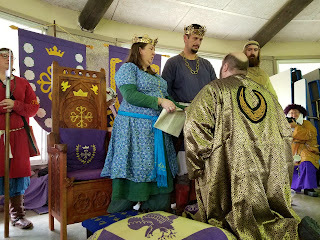 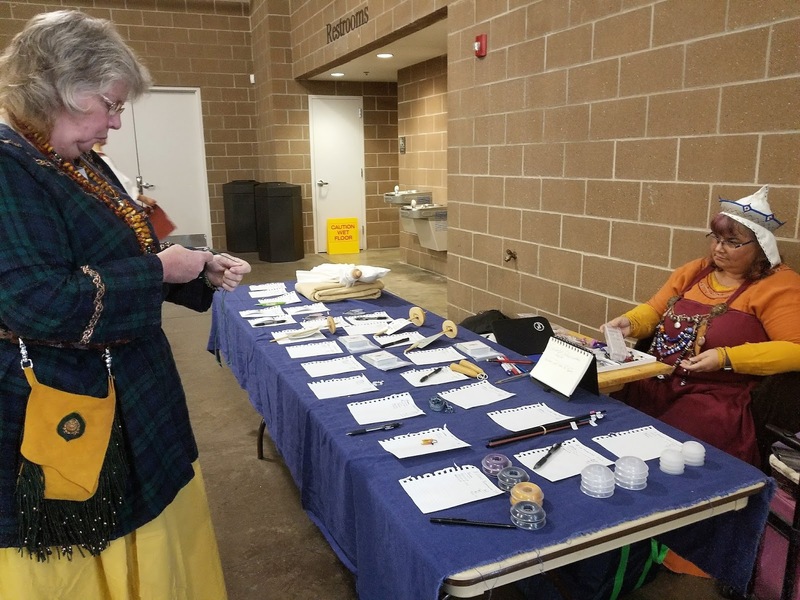 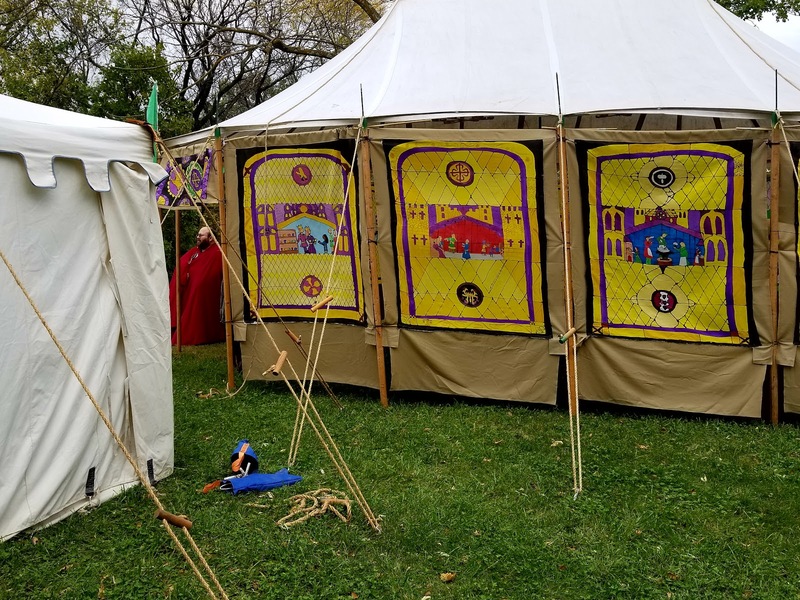 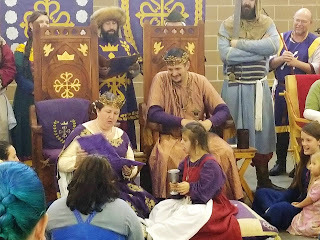 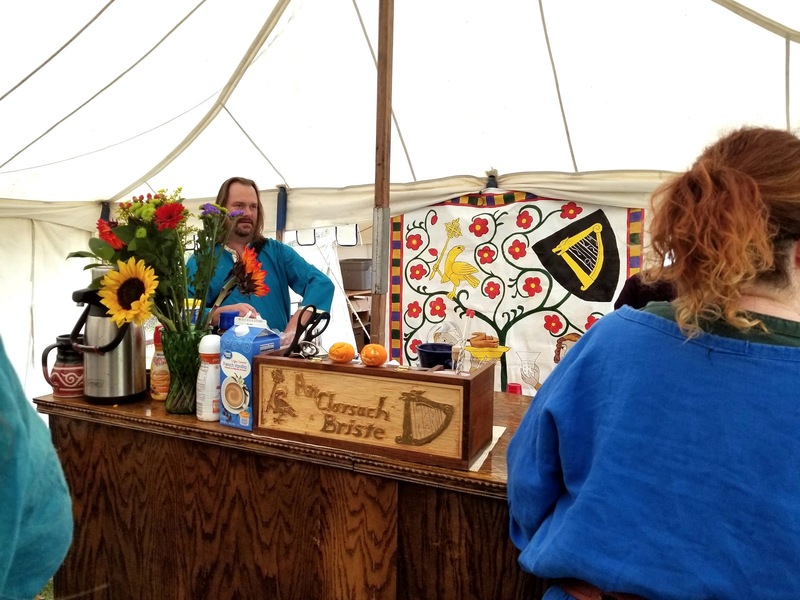 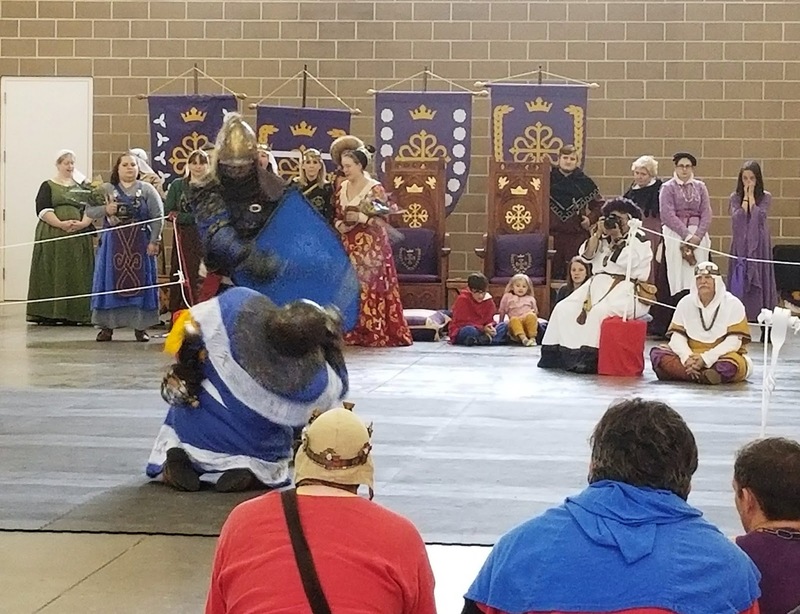 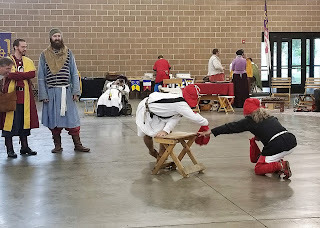 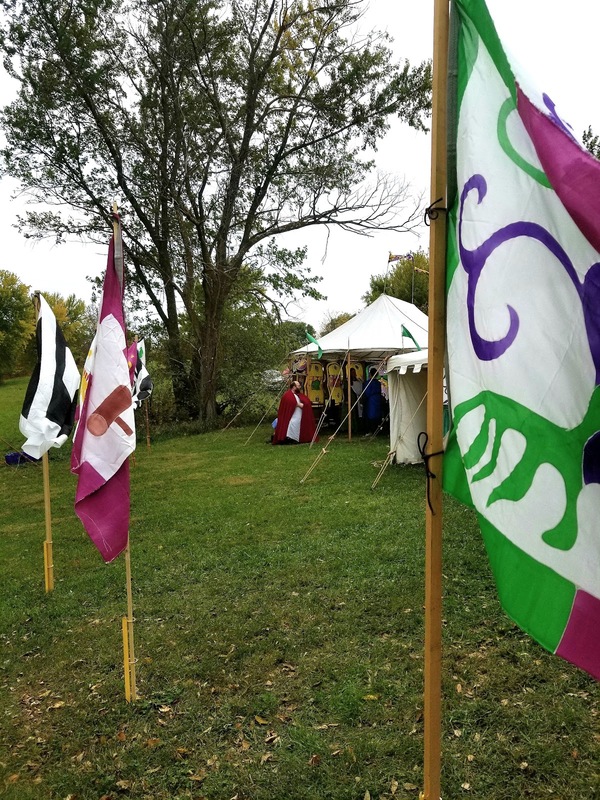 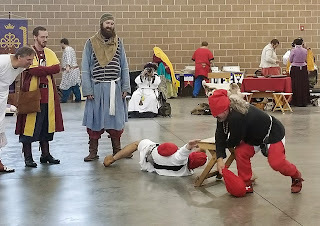 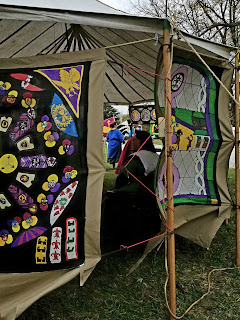 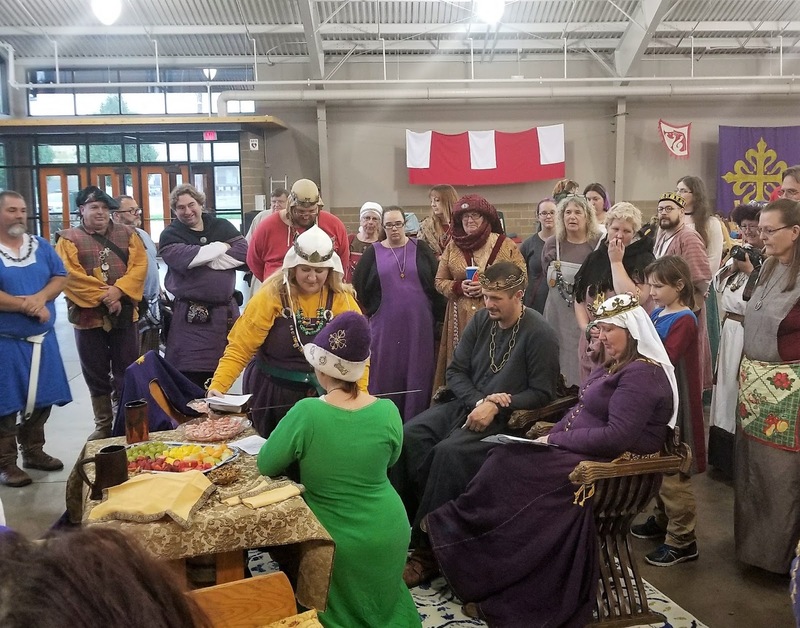 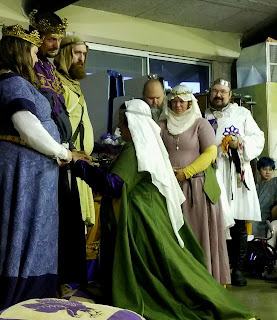 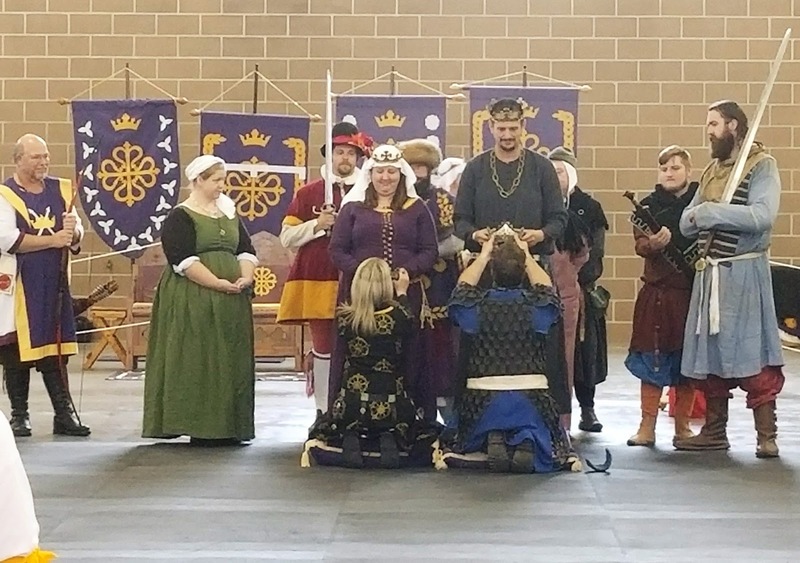 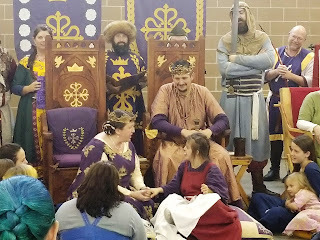 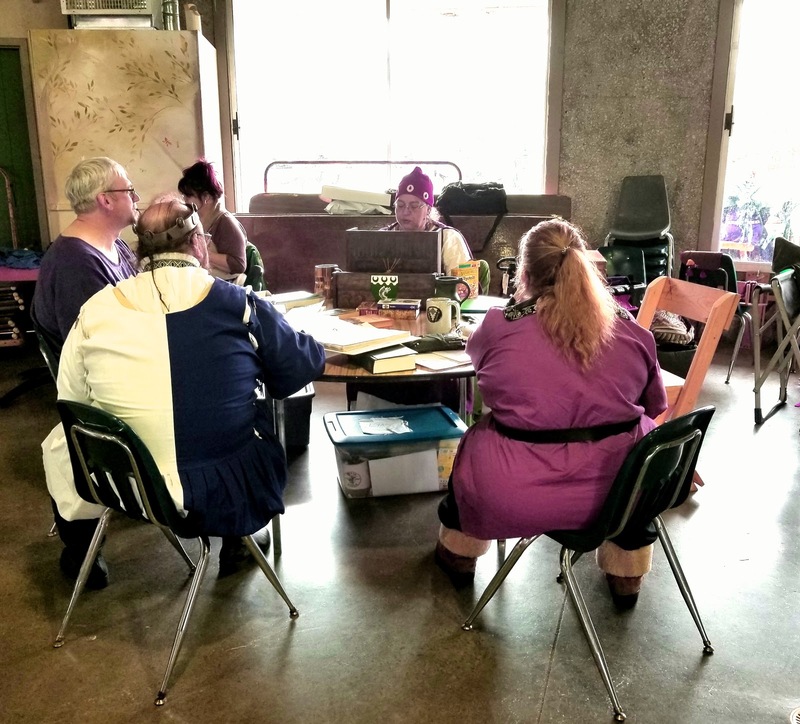 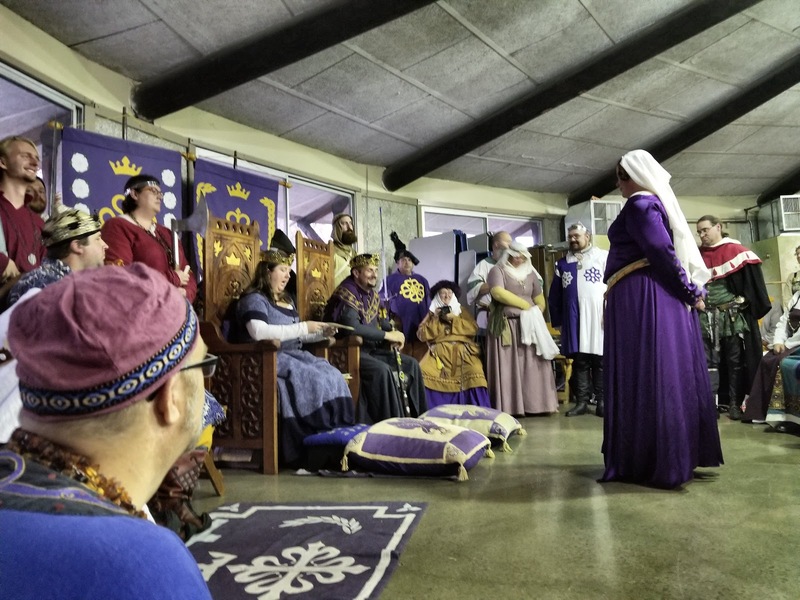 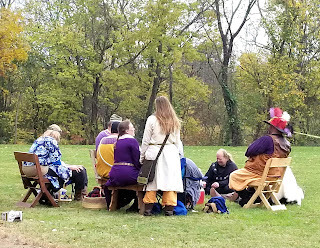 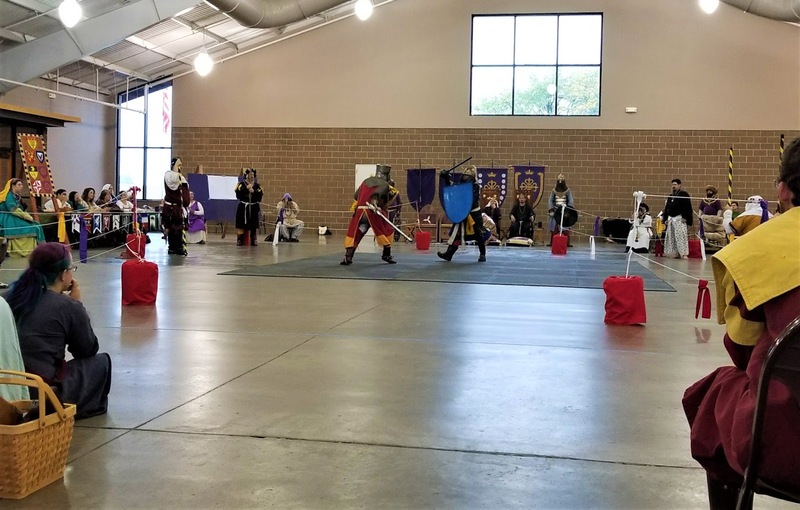 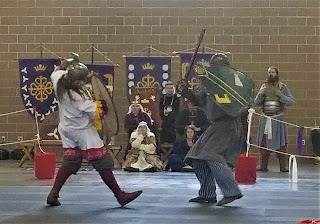 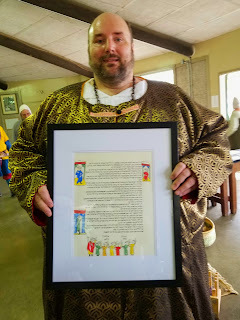 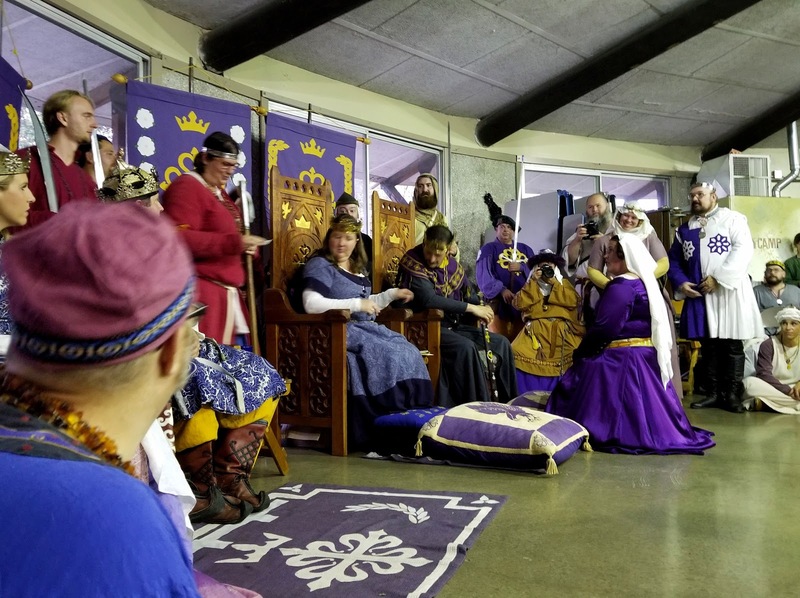 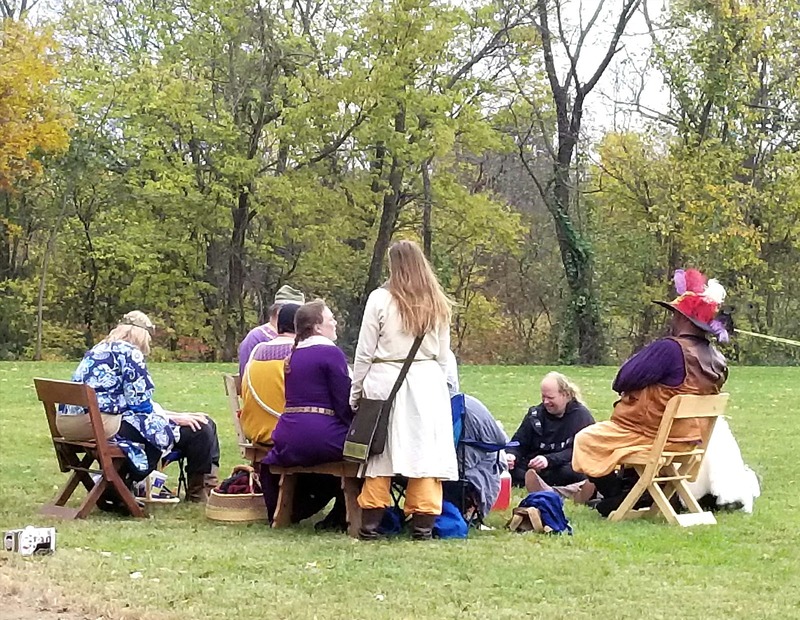 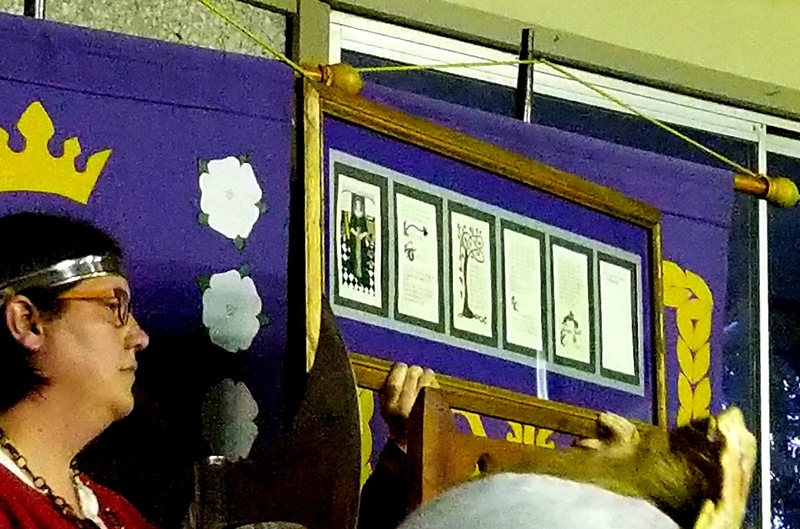 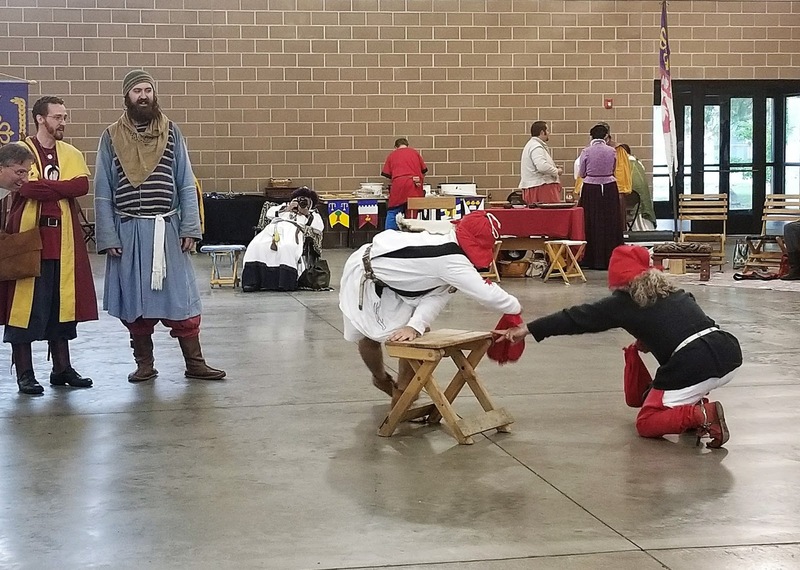 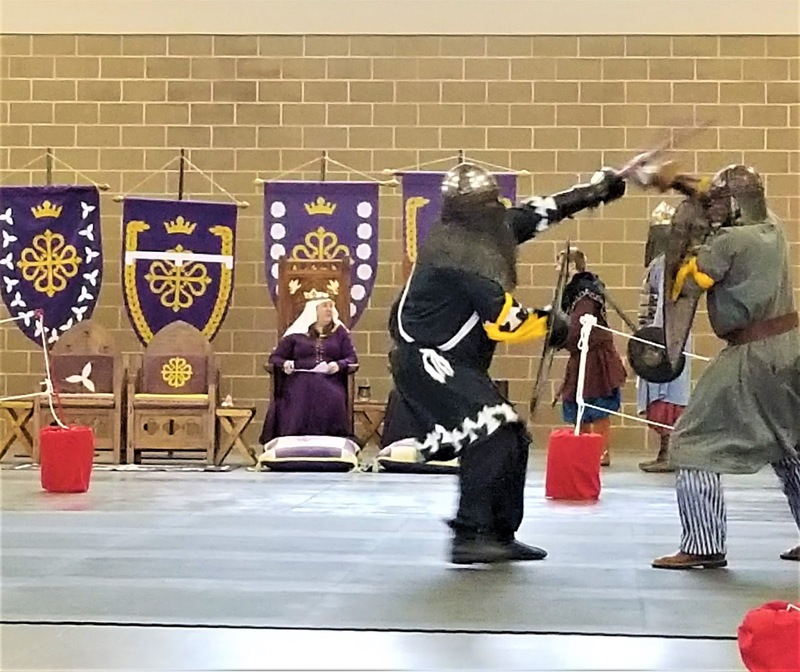 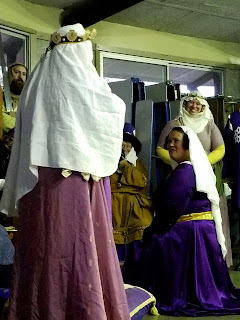 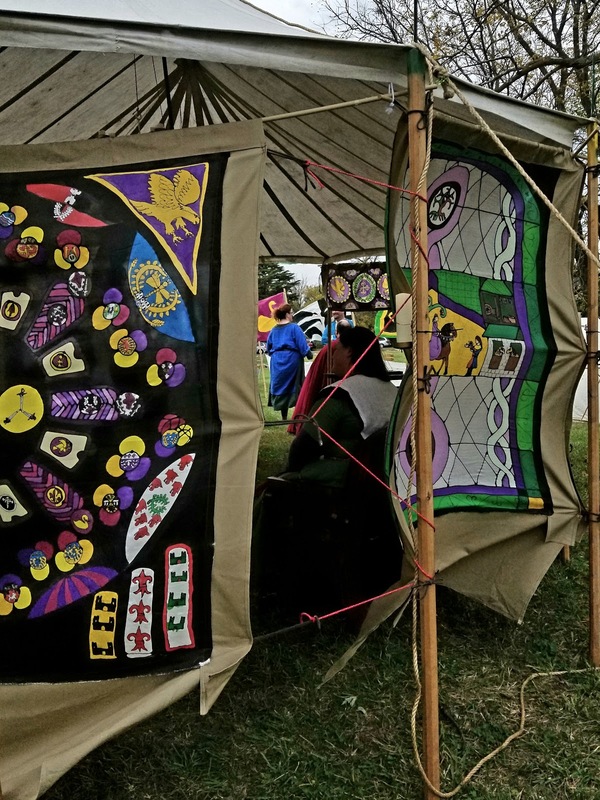 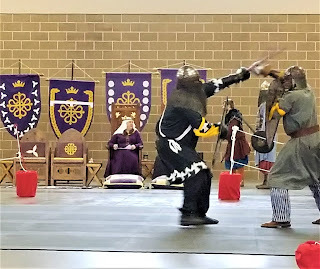 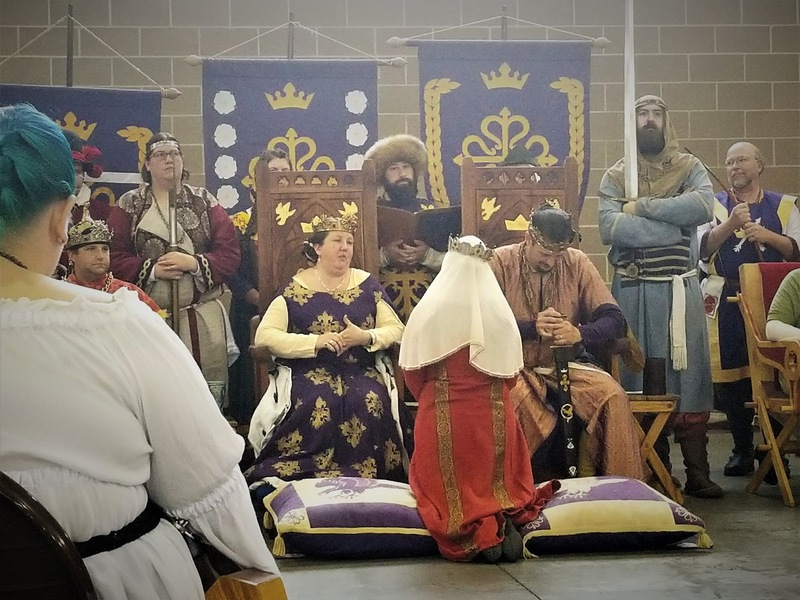 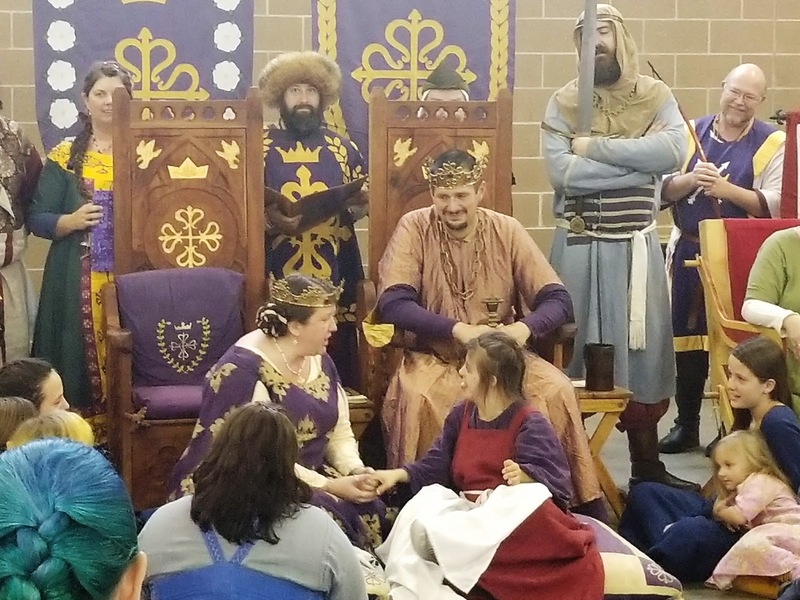 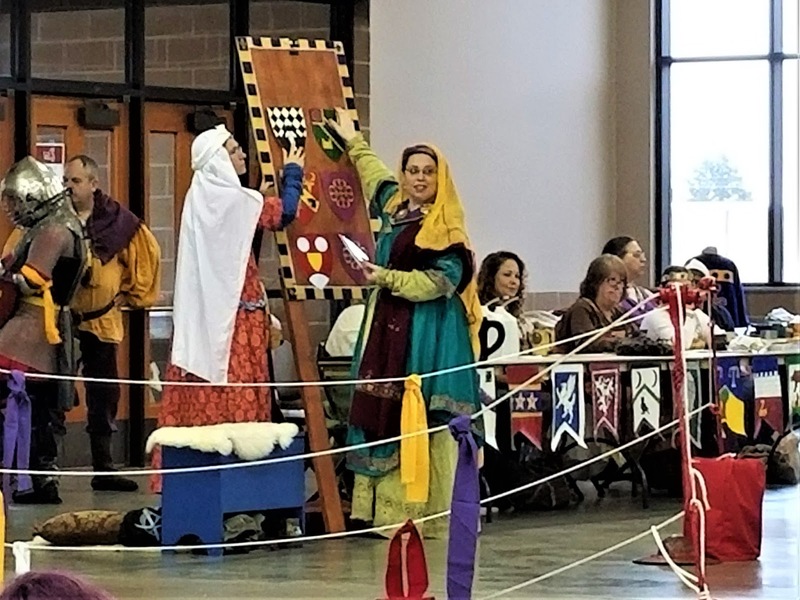 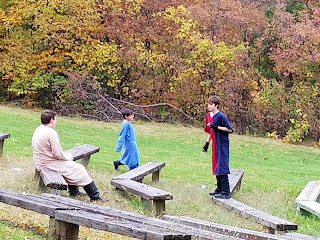 Saturday I went to Calontir's 2017 Fall Crown Tournament event. 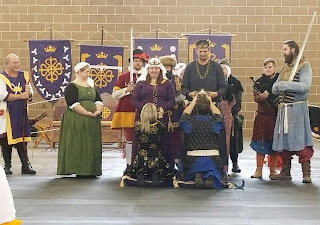 These are the photographs I took. 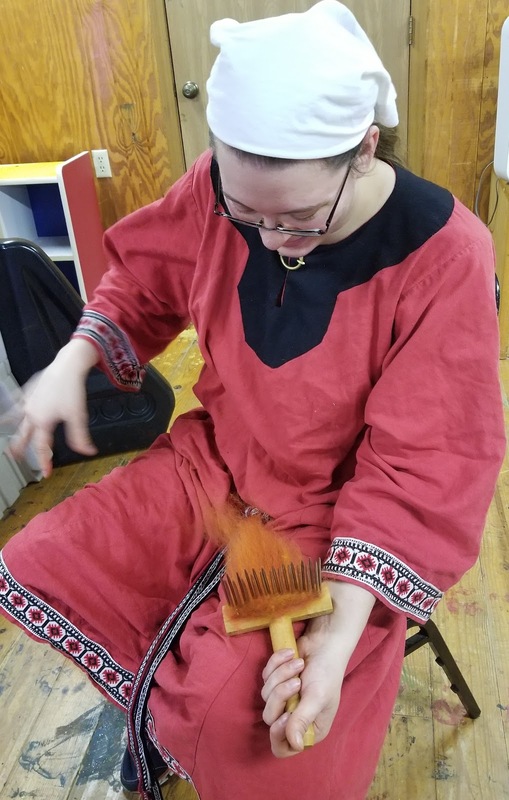 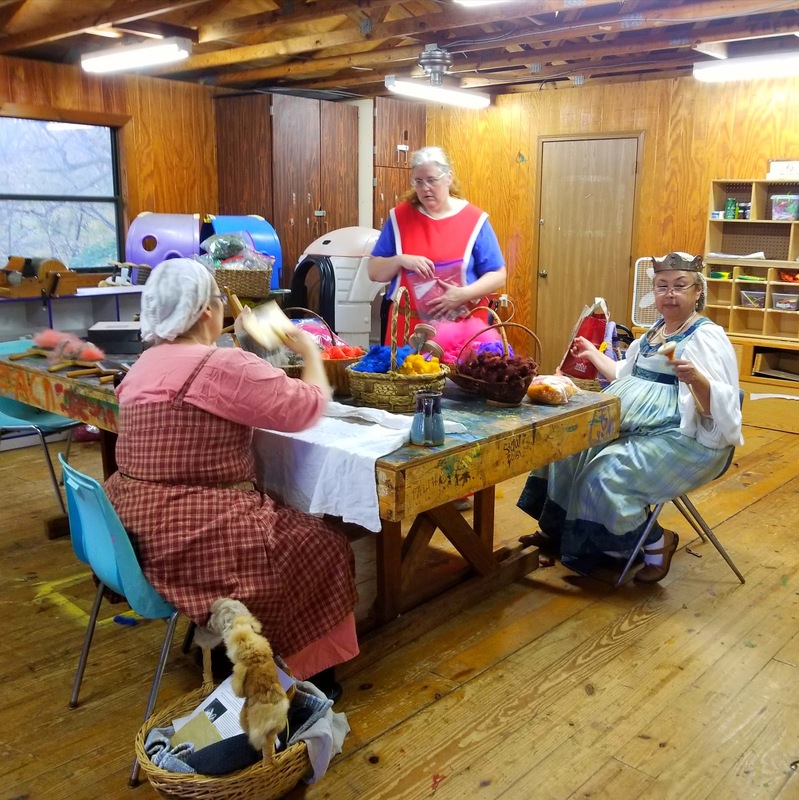 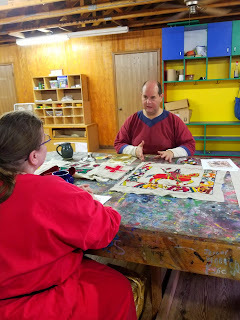 I missed photo ops but this is about the beauty and fun that I and my friends have and create in the Society for Creative Anachronism. 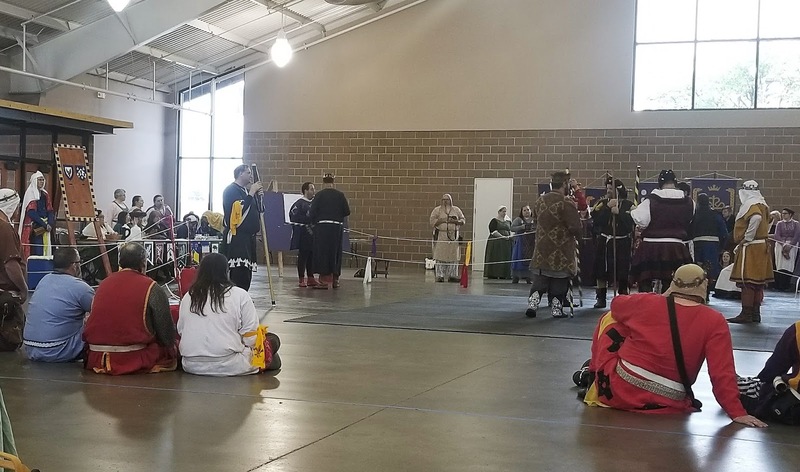 The lineup waiting to process in to Crown Tournament. 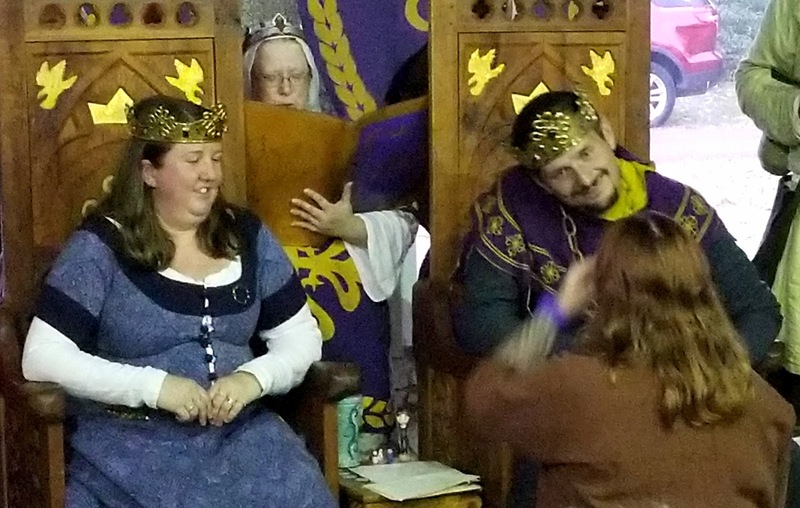 as heirs to the Calontir thrones. 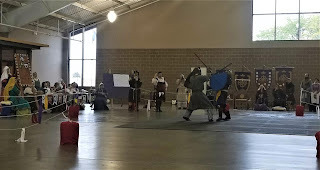 the Arts and Science competition as well. 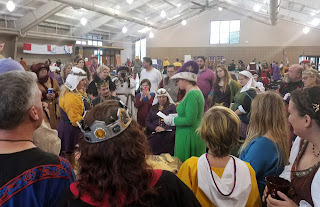 Some A & S entries. The new heirs artisan entries. 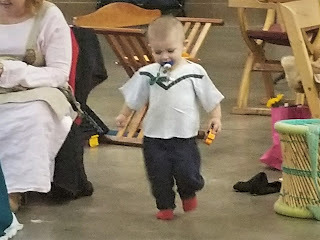 staffed by M. Roise and shopped by HL Astrid. 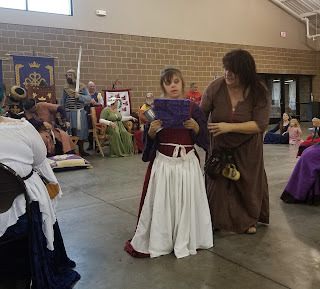 Mistress Sorcha took an apprentice. 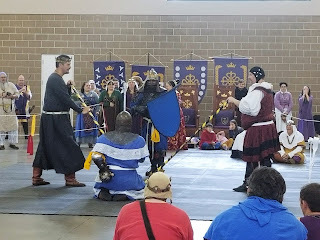 Sir Semjaka and Sir Xerxis. who took the attention calmly. win the Arts and Sciences competition. was made a Court Baroness. 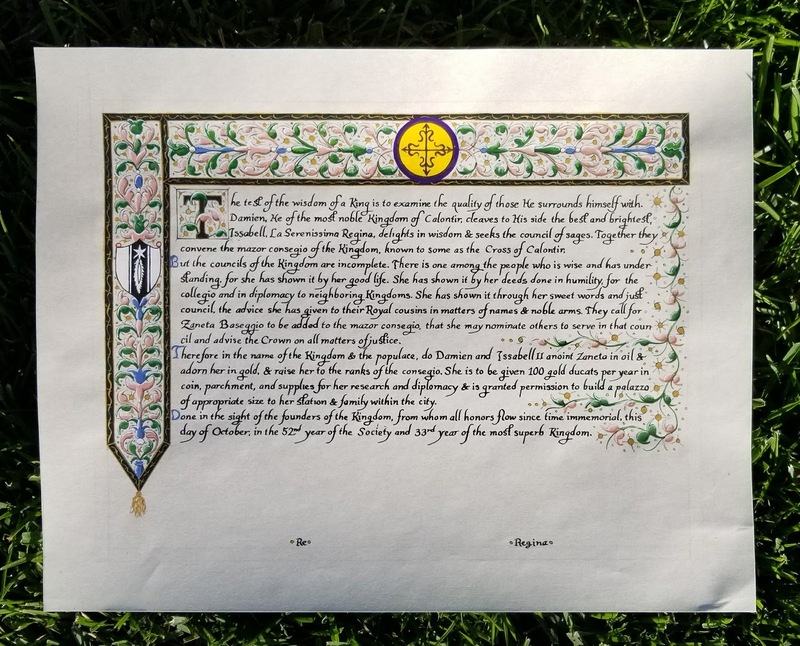 the Calon Cross scroll I created. 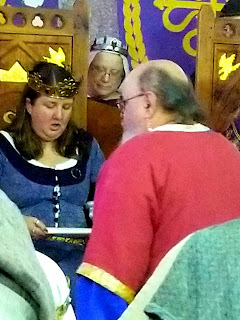 giving notice she wants to step aside.